As a hiring manager, you don't want to rush into making a decision regarding one of your key positions. Untimely decisions can directly impact operational performance. A quality Nursing Home Administrator, Director of Nursing or MDS Coordinator could take considerable time to find. You want to make sure that you find the right individual to meet the needs of your community. LW Consulting, Inc. provides interim and permanent placement for key team positions in senior care. We take time in vetting our candidates, and we make sure they meet the needs of the community they are being placed in. Let us reduce the stress you may feel when trying to find the right person for your community. Your team members have an impact on the quality of service that you provide. Our candidates are experienced and prepared to make an immediate impact with your community. Contact us through our website, e-mail or by placing a call to our office. You will be introduced to one of the members of our recruitment team. Our recruiter will ask questions pertinent to the position, allowing them to source the ideal candidate for your community. We'll discuss start date, length of the engagement, specific needs of the facility and describe the environment within the community. Receive a proposal from our on staff recruiter. After receiving a signed proposal, the recruiter will begin sourcing for the position. Sit back and watch the resumes of experienced candidates flood in. You will receive resumes for potential candidates and the recruiter will aid in setting up interviews and helping you through the process. After a candidate has been selected, LW Consulting, Inc. will supply you with the required medical and professional documentation for the candidate. Our vetted candidate will help cover your employment gaps until you are able to find the ideal employee for your team. At LW Consulting, Inc., we have a passion for making a positive impact on our industry. We'll work to find you the best candidates for your open positions. Our goal is to help reduce recruiting and search expenses for our clients. Contact us today to fill the gaps in your management team. Have a void in key positions? 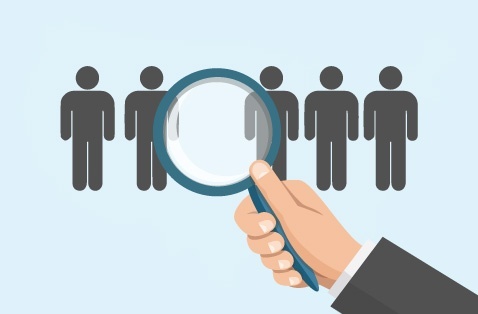 Request an interim from our highly experienced pool of candidates.